Well, things are hotting up we are almost only 1 month away from the big day. So what is coming up you ask ? well – This Sunday there is another long ride coming up. 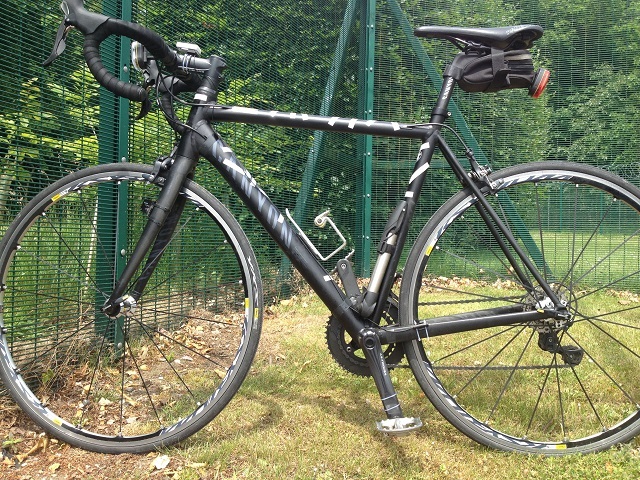 I will be riding the London Cycle Sportive, which is another ride that takes in Box Hill (yet again) but the exciting part is the ride finishes with a lap of the Herne Hill Velodrome. So a bit like Paris-Roubaix we get to bomb round the track after a 60mile ride out in Surrey. I have now decked out the names of my sponsors on the bike so a huge thankyou to all those who have made a donation so far. Your names are stuck on the bike frame and I will be drawing on those stickers for inspiration in a months time. I would also like to say a special thanks to BlackHorse Apiaries who have sponsored me. If you are ever interested in learning about Bee keeping, or just interested in the craft – give them a call. They run a number of practical and theory courses and have a wealth of knowledge and resources on all aspects of keeping bees. So tonight is the night !!! after me stupidly offering to get my legs waxed for this ride, tonight the hair comes off. (I blame the Italians – and them making me do it) Hopefully it will not be as painful as I am imagining. (It can’t be as bad as getting stung by a bee – right ? ) on the other hand it may be as bad as getting stung by a swarm of bees. (have experience of both of these events). Check back to see what state I am in after the event. The hair needs to come off ? Apparently these are the reasons from the pros !! The Theory: In this age of seamless skinsuits, aero frames, dimpled helmets, and ultralight deep-rim carbon wheels, it’s senseless to ignore the slight but real advantage of having bare legs. (To wit, a 1987 study conducted by Chester Kyle concluded that the aerodynamic improvement is roughly 0.6 percent, which could result in a savings of around 5 seconds in a 40km time trial ridden at 37kph.) NB- I can’t ride at 37kph !!!! The Reality: “It [the actual benefit] depends upon how hairy you are. I mean, look at the skinsuits of today. They fit really well, there are no seams, no grippers. So if all that makes a difference, then a lot of hair on your legs could slow you down.” —former pro Levi Leipheimer NB – I don’t own a “skinsuit” unless you count the one I was born in. NB – I don’t have a masseuse at my disposal – any offers ? NB – I am not sticking an apple in my mouth. 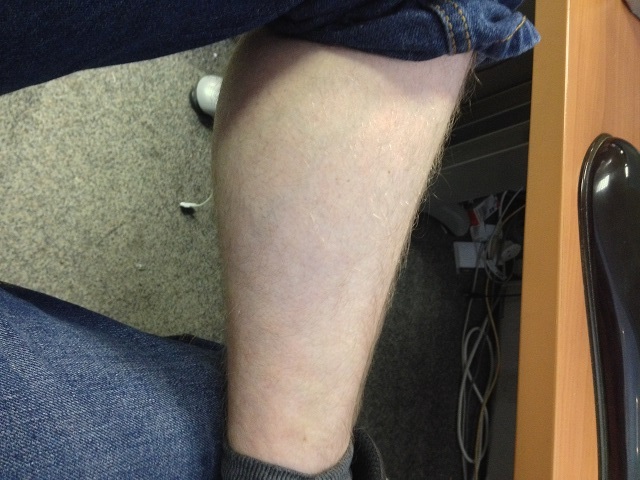 NB – I have stumpy fat legs and knobbly knees. NB – I doubt it – they just like seeing men endure what they do. NB – nope none of these have convinced me – I don’t follow fashion. Tour Series comes to Woking. 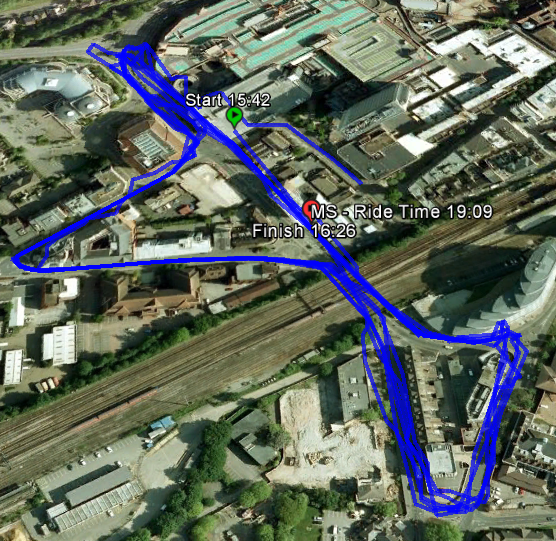 Well a nice gentle ride out after work to watch the Tour Series race round Woking town centre. Its nice to see them close the roads and do a cycling event. There is a lot going on and if you sign a disclaimer form you can have a go on the course. Here is some of the action from the mens / womens races as well as a fun ride around the course. So time for a longer ride. Sunday was the big one, the Bournemouth Wiggle Sportive The plan was to ride the Standard Route but to start from Verwood and cycle to the start. This would add approx 20 more miles onto the route bringing us up to approximately 95 miles (Pretty close to what is required on the big day). Pete the fellow cyclist who accompanied me on the Isle of Wight Randonnee, was riding with me as well. We started a bit later in the morning, (the weather was supposed to improve in the afternoon). A gentle ride down to the start, where we checked in and got under-way, we were one of the last groups out. The first 20 miles we made good time, especially when we picked up a pair of experienced guys and tucked in behind them. 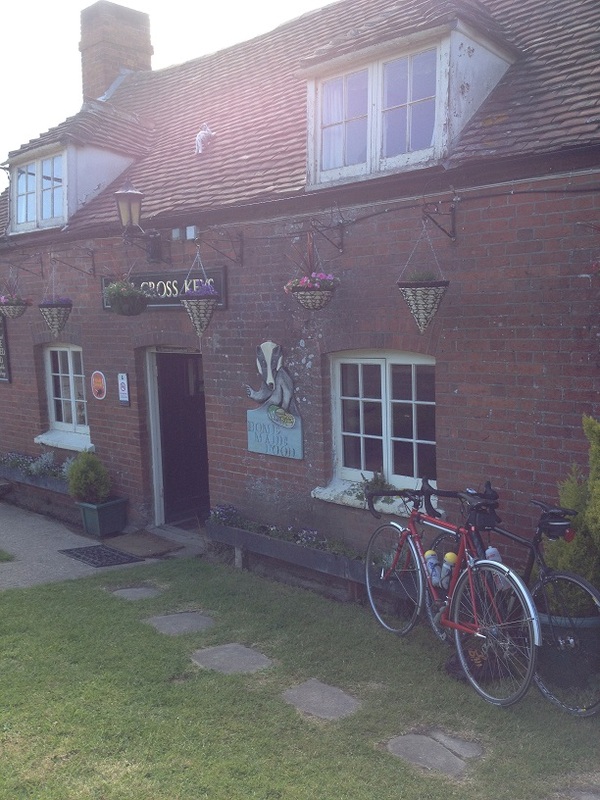 Averaging 20mph, we bowled on north towards Fordingbridge. 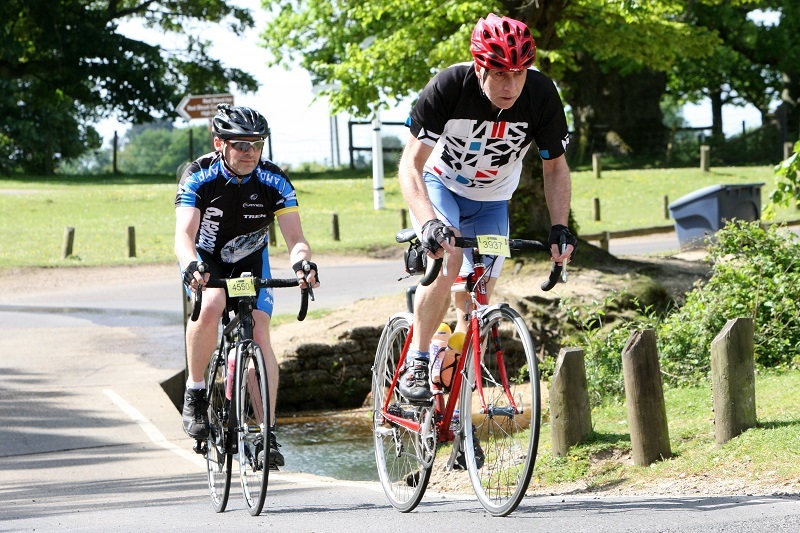 At Fordingbridge we let them go and backed off the pace as we knew there were some big climbs coming up. We made it to the first food stop, stocked up on flapjacks and drinks. We had a chat with some poor cyclist who had hit some gravel a mile back and was covered in grazes where he had come off. He also had a busted shoulder (possibly broken). A warning to all, it can happen at any time. 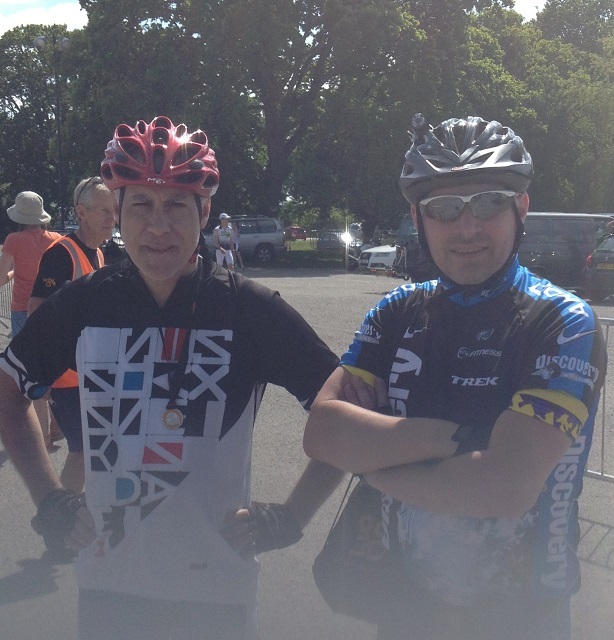 Bournemouth Sportive – Pete and I hunting down the leaders. We made good time onto the second food point with the only excitement being some idiot flying past us at 50mph with his horn on full blast. (well – if you are stupid enough to take a blind bend at that speed you are soon gonna meet something coming the other way). Legs on fire, we made it back on autopilot around the edge of Bournemouth Airport and into the finish. After a quick cup of tea and me having to help someone break into their bike. (the lock had jammed – so with the use of a screwdriver and a bit of ingenuity we managed to free it.) We now had a further 10 miles back to Verwood. Of course we actually made this 12 miles. A slight detour. – well who can blame us. Well – had to be done. Final odometer on the bike was 97 miles. Route details are here as always.